This page can be considered an iPad Air Tutorial but most posts apply to other iPad models such as iPad PRO running iOS 7, iOS 8, iOS 9 and iOS 10 as well. I have been playing and experimenting with the iPad Air since it was released in November 2013. I thought it would be useful to group all this information on the same page for your convenience. I recently published an iPad iOS 9 Training for Beginners on Udemy. You can sign up to the training with a 50% discount here. Below you can find a summary for each iPad Air Tutorial section. If you recently acquired an iPad Air or you are debating whether you should get a new one, you can take a look at my First Impressions on the iPad Air. iPad Air and iPad Air 2 used to run on iOS 8 and iOS 9. Now they can run on iOS 10 which is Apple’s latest operating system for its mobile devices. One cool feature of iOS 8, iOS 9 and iOS 10 is the Control Center. In brief Control Center is a shortcut to the iPad’s most frequently used functions such as Wi-Fi, music, volume, brightness, bluetooth, camera, etc. 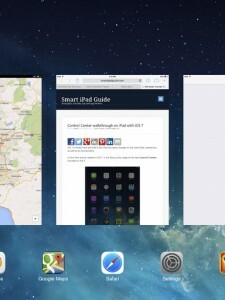 Safari is iPad’s default web browser. 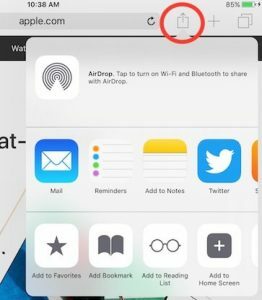 I devoted quite some time to explain Safari’s features from scratch, with screenshots and videos. If you would like to learn more about Safari, have a look at this complete tutorial. 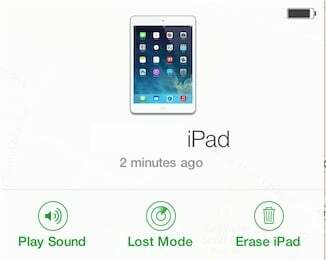 The longer you use your iPad Air, the more information, Apps, music, pictures, videos and books you will store on it. There will come a time when you will need to find a certain email, App or book. This is when learning about the search functionality comes handy. Did you know that if you open an App on the iPad and press the Home button, the App stays open and runs in the background? There are a couple of different ways to close an App. The way to close Apps changed between iOS 6 and iOS 7. 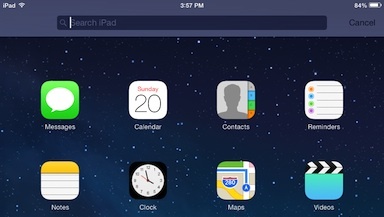 The following quick tutorial reveals how to close iPad Apps on iOS 7, iOS 8 and iOS 9. 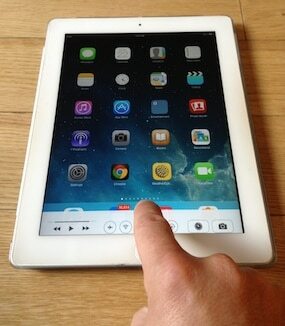 Looking for the iPad Gestures Blueprint? Spending a few minutes today learning how to customize your Notification Center can make your life easier and more organized in the long run. Learn more about Notification Center here. 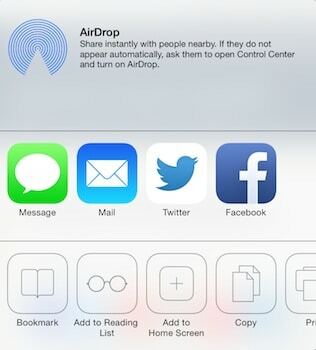 AirDrop lets you share pictures, contacts, videos, locations on maps and links to websites using Wi-Fi and Bluetooth between iOS devices (iPhone, iPod, iPad). If you are interested in learning how to use this feature, take a look at this step-by-step tutorial. Personal Hotspot allows you to connect your computer or other devices to the Internet using your iPad’s Cellular Data connection. Have a look at this tutorial if you want to lean more. 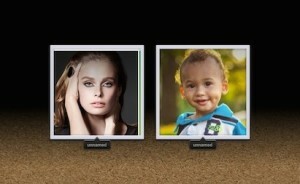 The iPhoto App for iPad does not have face recognition included within its features. It is still possible to organize your iPad photos by faces, it just requires a little bit more work and the help of a Mac with iPhoto. You can find more information on how to do this by following: Organizing Photos by Faces on iPad. Especially useful for iPad devices with a data plan. Spending a few minutes configuring iCloud can really help you out if your iPad goes missing. On this post I show you how configure iCloud and use the Find utility. Preparing presentations on the go is very easy with the Keynote App for iPad. Check out the following tutorial on how to use Keynote on iPad (Part 1). Love taking pictures with your iPad or iPhone? Sharing them with your friends and family is very easy using the Photo Stream. Learn more here. If you are familiar with the Mail App on iPad, you will probably appreciate the new features released with iOS 8. Take control of your inbox with these cool tips and tricks. This is perhaps one of the most interesting and cool features of iOS 8. The possibility to Make and Receive calls from your iPhone on your iPad. Give it a try following these steps here. If your family owns several iOS devices such as iPads, iPod touch and iPhones, it is easy to get lost with your digital purchases. 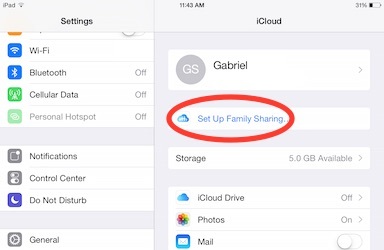 iOS 8 (and 9) now include Family Sharing, which allows you to share music, books and games among different iOS devices. As a parent or guardian, the new feature lets you approve “Ask to Buy” requests from other members of your family. The music you love is just a few taps away. With this Apple Music Tutorial you’ll be listening to your favourite songs in minutes. I published a Video Based iPad iOS 9 Training for Beginners on Udemy. You can sign up to the training with a 50% discount here. In the meantime, you can also find Apple’s iPad user guide for iOS 8 here. I encourage you to visit this page often and to click here to get the new Gestures Blueprint.